Read Logan's review of Mission: Impossible - Fallout. The best intentions often come back to haunt you. 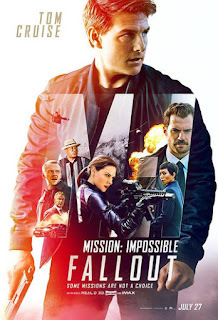 Mission: Impossible - Fallout finds Ethan Hunt (Tom Cruise) and his IMF team (Alec Baldwin, Simon Pegg, Ving Rhames) along with some familiar allies (Rebecca Ferguson, Michelle Monaghan) in a race against time after a mission gone wrong. Henry Cavill, Angela Bassett, and Vanessa Kirby also join the dynamic cast with filmmaker Christopher McQuarrie returning to the helm. 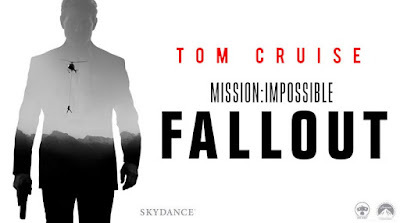 Mission: Impossible - Fallout is in theaters on July 27th, 2018. Tom Cruise is the greatest action star of our generation. If you don’t believe me, buy a ticket for Mission: Impossible – Fallout and you will understand. The sixth Mission Impossible film is here and somehow this franchise is still phenomenal! This is easily the most action- packed film of the year, and Tom Cruise is still doing all of his own stunts, which are absolutely mind-blowing. Tom Cruise has so many incredible stunts in this film, that not only showcase his relentless bravery and talent, but also the talent of writer/director Christopher McQuarrie and all of his cameramen. There is a skydiving scene in this film, that follows Tom Cruise as he runs down the back ramp of a giant plane, jumps out, begins a free fall, while all being in the same take. There is no cut through that entire sequence. A cameraman had to be standing on the ramp to follow Tom as he ran, then hand the camera to someone ready to jump out of the plane backwards and capture Tom as he free falls, while manually holding focus on Tom with no monitor or external equipment, all by hand. If that isn’t enough to make you want to see the spectacle that is MI6, I don’t know what else I can say, but I’ll try. What I love about the most recent films in this franchise is the amount of intelligence that is put into the actual writing and execution of the story. These are action-packed heist films that out-smart me at every turn but make complete sense after surprises are revealed. While I will say that there is one plot point that was predictable because of a scene that happens relatively early in the film, the amount of surprises and unpredictability around the reveal of that moment keep me engaged and very entertained. That is also only one small aspect of the entire film and should not make you worry in the slightest. Overall, I enjoyed Mission: Impossible – Fallout a ton. Easily the best action movie of the year so far and the technicality of the filmmaking is just awe-inspiring. Tom Cruise absolutely kills it in this film, as does the entire cast. This story also brings a more personal aspect to Ethan Hunt’s character and I appreciated seeing a secret agent that has completed many impossible missions still portray a vulnerability on screen. Definitely check this one out in theaters! Logan (Contributor) is a Texas native and a massive fan of all genres of film. You can find him talking about movies on YouTube as half of the CraZCouple or in line for the latest Star Wars/Comic Book film. 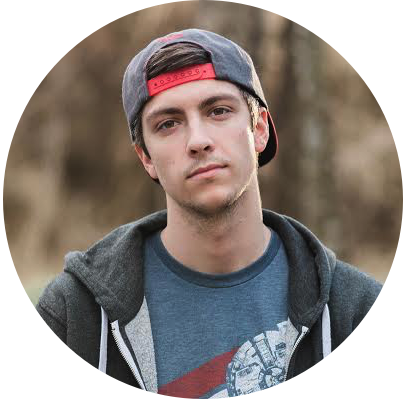 Click Here to check out Logan's Articles.